Gmail 5.0 lets you access your Yahoo and Outlook accounts too: download it here! Gmail 5.0, the latest version of Google’s email client, has been leaked. Featuring an all-new Material Design look, along with support for Yahoo Mail and Outlook, Gmail 5.0 is really something special. Thankfully, we’ve got the APK file for you here ready to download. Find out all of the Gmail 5.0 features below. Not content with springing Inbox on us recently, Google has also updated its classic email client. Of course, Gmail 5.0 is dripping with Material Design, but there are some new features which address the functionality also, chief among these is its integration with with other email clients. For users of Yahoo, Outlook and Hotmail, Gmail is now capable of acting as an inbox for those addresses too, reducing the need for multiple apps/log-ins to browse through your email. This is a welcome addition, as going through three different apps just to check unread mail is an unnecessary time sink. 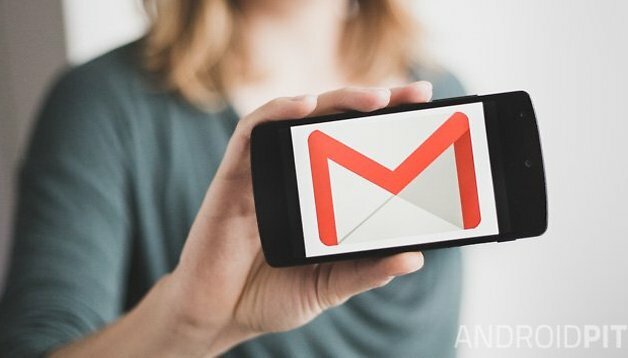 Thanks to the Android Police team, you can download the APK of the new version of Gmail ahead of its official release in the Play Store. Remember that the APKs are signed by Google and will update the Gmail app already installed on your Android. To Install the Gmail 5.0 APK you will have to allow access to unknown sources in the security settings. If you don't have it already, download and install Gmail from the Play Store first before downloading the 5.0 update APK file. So, what did you think of Gmail 5.0? Is Inbox really still relevant after this update? It's an application of 10! Haha thanks for the tip, Lee! And I've emailed one of our developers about the notification tone, good suggestion.